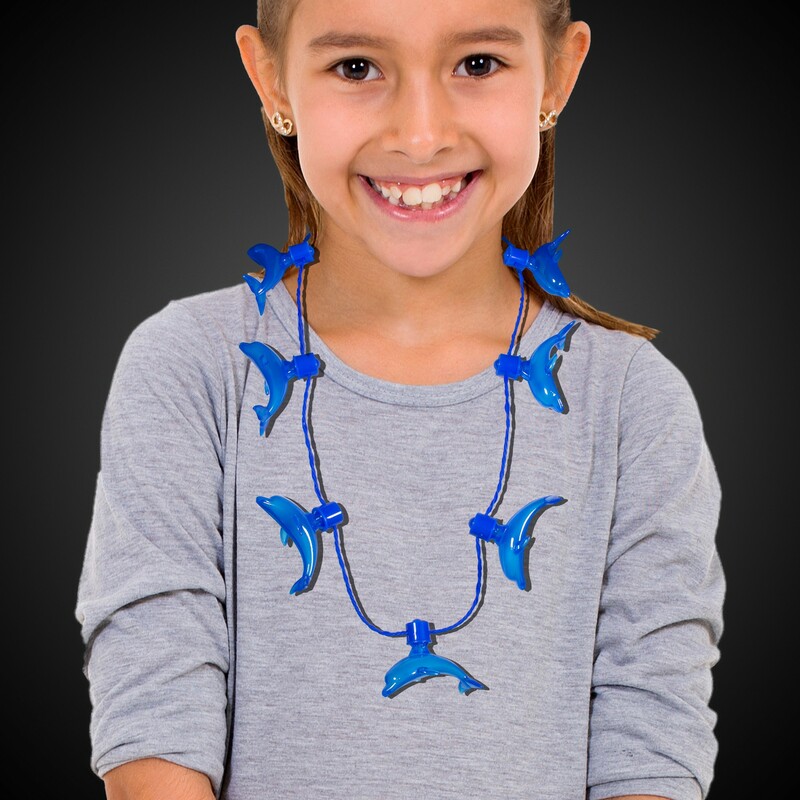 Our translucent blue Dolphon necklace is perfect for all kinds of events involving wildlife and sea animals! 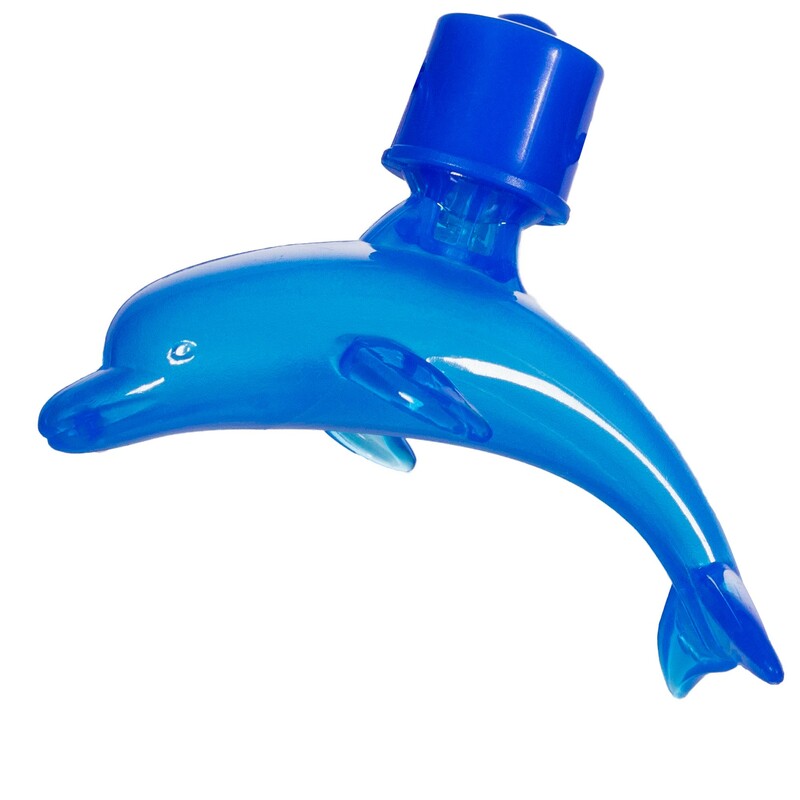 Sorry, this item cannot be imprinted. 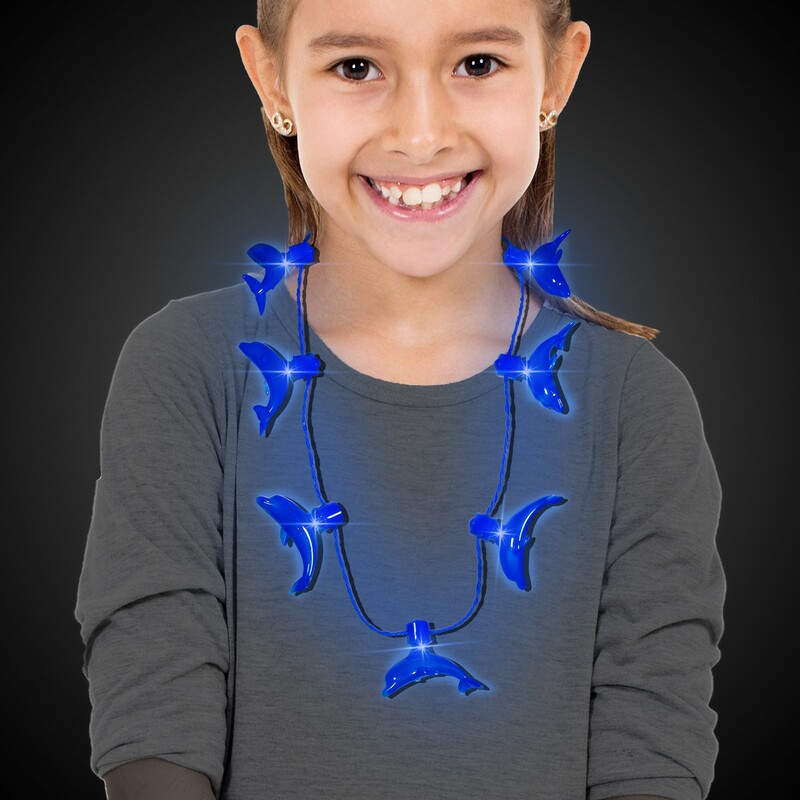 Our flashing blue plastic LED Dolphin Necklace comes with 3 different light settings;; slow flash, fast flash and steady on. Choose your favorite setting with a click of the on/off button. 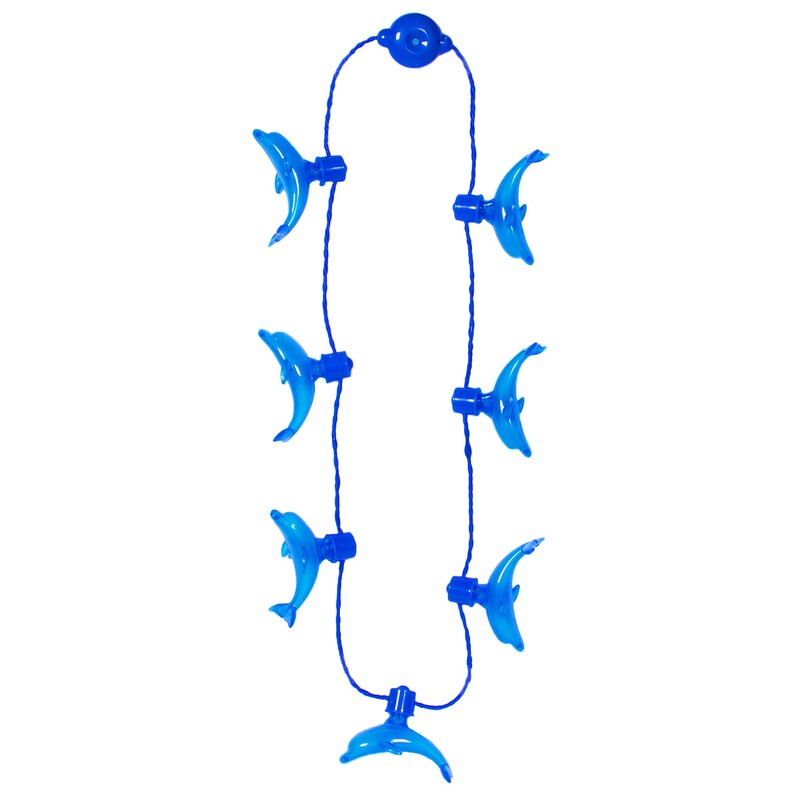 Our blue plastic LED Dolphin Necklace Is a perfect accent to your beach,tropical or ocean theme parties! 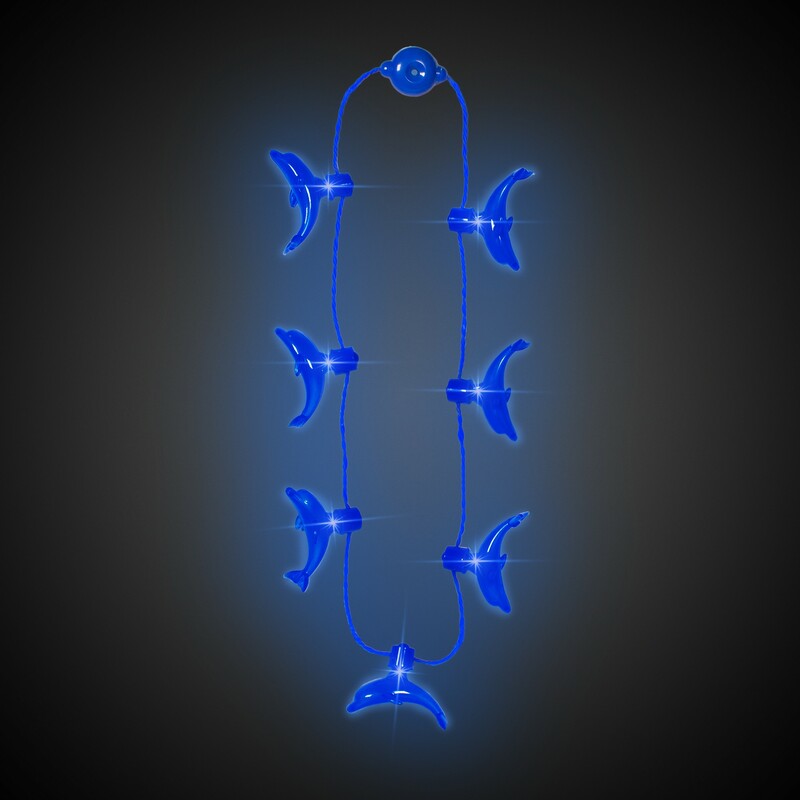 Each LED necklace has 7 - 2 3/4" translucent plastic dolphins which flash and light. 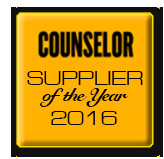 2 - CR2032 button batteries are included, installed and can be replaced.